YMCMB Cash Money Content is set to publish 48 Laws Of The Street The Blueprint by BMF founder Big Meech and New York Times Bestselling author Jaquavis Coleman, according to hiphopsince1987.com. The book is due in early 2014 and is likely modeled, at least in part, off of Robert Greene’s The 48 Laws of Power book, which was released in 2000. In 2009, 50 Cent wrote The 50th Law with Greene. Demetrius “Big Meech” Flenory is the co-founder of BMF, a/k/a Black Mafia Family, a criminal operation that was based in Detroit and distributed cocaine throughout the United States. BMF was affiliated with Young Jeezy and launched BMF Entertainment as a recording home for rapper Bleu DaVinci. 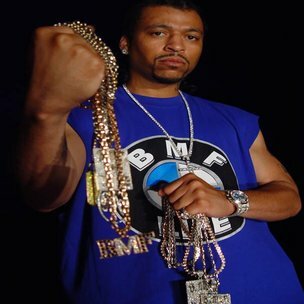 In 2005, several members of BMF were indicted and in 2008 Big Meech and his brother Terry a/k/a “Southwest T” each were sentenced to 30 years to life for their role in BMF and another 20 years for money laundering. UPDATE: A representative of Coleman’s contacted HipHopDX and said that Coleman and Big Meech had not reached an agreement with a publishing house for 48 Laws Of The Street. While the representative says that Coleman does in fact have a publishing deal with Cash Money Content, not all of the author’s work is published by them.